Submitted by Jason Horton on Jan. 23, 2018.. 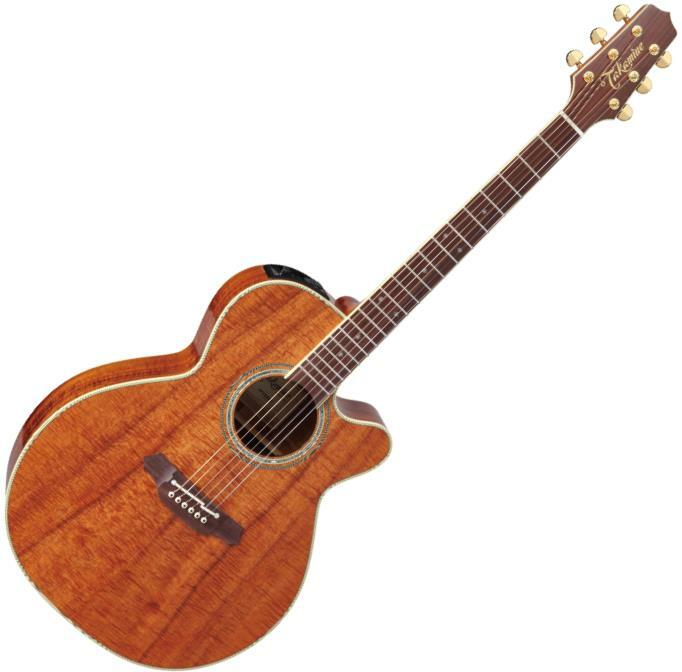 It is somewhat surprising to see a laminate top in this price range, however the presumption is that due to the high cost of Koa, and this has an all Koa body, that this was necessary to keep the price down. Takamine have quite a number of highly rated acoustics and this was their most highly rated model when first recommended it back in November 2016.. The NEX body shape is Takamine's own design which they describe as a "scaled-down Jumbo at heart". As you might expect, there are many positive customer reviews that rave about both the looks and the sound of the distinctive Koa used in its construction. The action and playability were also very well received in reviews. The tone was variously described as "warm", "beautiful" and "great". In his review for Music Radar Jim Chapman said, "This guitar is an outright delight and we'd happily own it – in fact, it's one of the nicest Takamines we've tried in a long while!" There were very few negative reviews from customers with no consistent complaints. Whether it's for the tonal characteristic or the visual appeal of the Koa, you'll certainly stand out on stage with this guitar.